Divorce can be a painful process for all involved. Couples who can agree on the terms of their separation will have an easier time dissolving their marriage without the help of a Nevada divorce lawyer than those who are at odds. Unlike many American states, Nevada has unusual laws allowing for a relatively rapid end to bad marriages. Whether you choose to involve NV divorce lawyers or complete the paperwork yourself, here are some things you should know if you are filing for divorce in the state. • In a no-fault divorce, both parties agree to dissolve their union for reasons of incompatibility, a breakdown in the relationship or other causes. • In an at-fault divorce, one person claims they have grounds for divorce such as being the victims of domestic abuse. The other partner may be unwilling to agree to a separation. In this case, an NV divorce lawyer can help you prepare your case in family court. Unlike nearly every state in the United States, you only need to be a resident of Nevada for six weeks before you can file for divorce. This has made the state a popular destination for those seeking quick ends to their marriage. Understandably, this also means there are many Nevada divorce lawyers. Divorce proceedings generally take place in the family court of whatever county you are in. NV divorce lawyers can enter the process in many ways. In a no-fault divorce, you may not need one’s services at all. Nevada divorce lawyers are more helpful for at-fault divorces than the no-fault variety. If both parties are committed to ending the marriage as quickly and painlessly as possible, it may be possible to complete the paperwork yourself. A Nevada divorce lawyer can be helpful if you are trying to figure out the most efficient way to end your marriage. Before deciding to get legal counsel, it’s important to discuss with your partner how you want to end the marriage. If you both agree on issues such as how to divide property and who will maintain custody of any children, you do not need a Nevada divorce lawyer to be prepared to appear in court. A no-fault divorce where both parties complete the paperwork themselves and agree on everything may not even require a court date. After submitting a joint petition outlining the specifics of the end of your marriage, you may be freed from your marriage in less than a month. 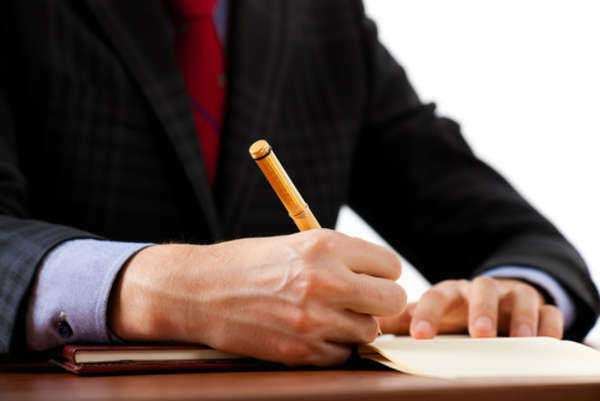 While a NV divorce lawyer can be helpful in making sure all paperwork has been completed properly, you do not need one’s services if you are sure you understand all the forms you fill out. If you are both in agreement about ending your relationship as peacefully as possible but cannot agree on the specifics, consider mediation. In this process, NV divorce lawyers help both parties reach consensus on how to dissolve their marriage to prepare a full plan of your divorce to submit to the court. You may also want to consider collaborative divorce, in which Nevada divorce lawyers advise both sides throughout negotiations. However, if you and your spouse are unable to reach an agreement, you will need to hire new legal counsel for your court date. Collaborative NV divorce lawyers cannot represent you in family court. Before hiring legal counsel, it is important to figure out what kind of representation you are looking for. Couples agreeing to mediated or collaborative divorce do not need the same kind of NV divorce lawyer as parties who cannot agree on the terms of their separation. Different law firms offer different services. Generally speaking, Nevada divorce lawyers who help couples who have agreed to craft their divorce terms together charge less than those preparing for a court date. If you are thinking of hiring legal counsel, find out if you will be charged a flat fee for paperwork and mediation. Some Nevada divorce lawyers may instead charge by the hour or in other time units. Because of Nevada’s popularity for those seeking to end their marriages, it is important to be aware of who you’re hiring. There are many NV divorce lawyers advertising their services online. Not all of these attorneys are as qualified or helpful as their listings suggest. Before engaging any Nevada divorce lawyers, look up their disciplinary records online and check to make sure they are in good legal standing. If you decide to hire legal counsel, be careful about who you work with. Whether you are a resident of the state or not, ask friends and family if they can recommend any NV divorce lawyer who has helped them in the past. The State Bar of Nevada can also refer you for free to an attorney. All NV divorce lawyers you talk to should be willing to answer questions about their experience in your kind of case, what their fees are, and what kind of resolution you can expect for your case.